Subscribing to Onemrbean's Twitch channel not only gives you special emotes in chat, but also a bunch of secret commands in the following apps listed below, available as soon as you subscribe! 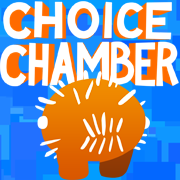 Choice Chamber is a game designed to be played by a Twitch streamer along with their viewers. If you subscribe to Bean's Twitch channel, you can use the commands below in ANY Twitch channel streaming Choice Chamber. This is a great way to support the developer if you'd rather play from the chat room. +beanbot ombGIR Summon a beanbot! Shoots magic beans until it runs out. +platinum ombGIR Drop a platinum coin worth 100c! +buff ombGIR Add a buff to the player's attacks until they die. +nerf ombGIR Add a nerf to the player's attacks until they die. +pogo ombGIR Force the player to pogo jump for the rest of the room. +rainbow ombGIR Drop a rainbow heart. +snow ombGIR Make it snow. Forces the next room to have icy floors. +rose ombGIR Throw a rose to the player. Increases luck. +balloon ombGIR Give a balloon to the player. Slows them when falling long distances. Beanbox is a set of tools for interacting with your Twitch viewers. 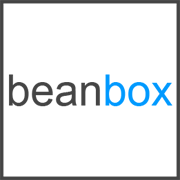 Subscribe to Bean to use extra commands on any Twitch channel that uses Beanbox.